The Department of Homeland Security of the United States is a ministry of that government with the responsibility of protecting the US territory from terrorist attacks and having a rapid response to disasters of natural origin. With more than 200,000 employees, National Security is the third largest ministry in the United States federal government. His Department policy is coordinated in the White House by the National Security Council, with Frances Townsend, as National Security Adviser. Among the criticisms of the department, one can cite the alleged waste and inefficient use of its large economic resources and the violation of privacy and civil liberties of the US and foreign citizens. The president, Donald Trump, has asked his team to present him orally the Presidential Intelligence Report, a document that compiles the main scoops obtained by the spy and security agencies of the country, as announced by local media this Friday. According to a statement published by the Washington Post, citing three sources close to the Cabinet, the president informed long ago his intention not to have to submit to reading a report that is prepared every night and that includes highly classified information. The report, known as PDB, aims to inform the Armed Forces commander-in-chief early on the morning about all the most important security issues around the world. This document includes reports obtained by espionage services, surveillance services, satellites, and even by foreign intelligence agencies that collaborate with the country. According to the newspaper of the capital of the United States, Trump requested from the beginning that the PDB was as brief and concise as possible, however, there seems to have been insufficient reason to persuade the president of the need for a thorough reading. The president, however, is a greedy consumer of intelligence reports. He values the hard work of his informants and the entire intelligence community, and he always receives his reports with impatience every day. This was confirmed by the spokesman of the National Security Council, Michael Anton, to The Washington Post. 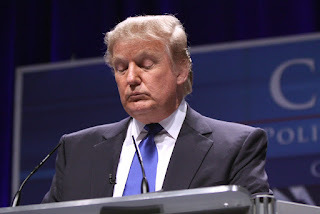 However, there is a lot of information that affirms the certain lack of aversion to reading by Trump, an argument that supports the publication of the book "Fire and Fury", in which the journalist Michael Wolff assures that the members of the Cabinet have opted for submitting more visual reports. The ex-director of the Central Intelligence Agency (CIA) and former Secretary of Defense during the Administration of Barack Obama, Leon Panneta, questioned by the capital's newspaper, expressed concern that the president may miss something if he does not read the reports carefully. In fact, the impulsive nature of the multimillionaire added to his alleged lack of attention, have led a group of legislators to question the fact that Trump is able to make certain military-type decisions, such as ordering a nuclear attack, without the need for submit to the approval of Congress. To say Panneta, one can have the most intelligent people around you, but ultimately everything depends on the decision itself.